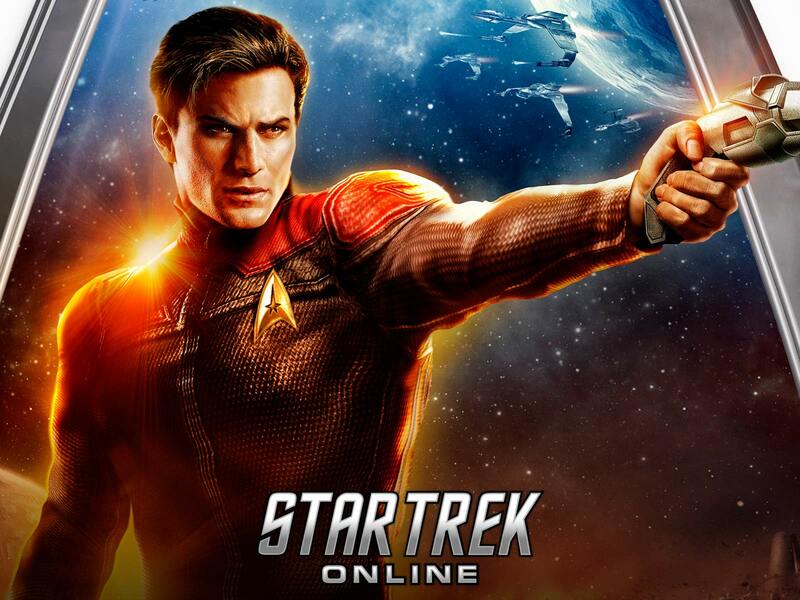 Not too long ago Star Trek Online became Free To Play, which is exactly what it sounds like. 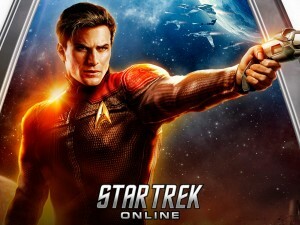 The MMO set in the Star Trek Universe was something that interested me as I’d become fond of DC Universe Online and I liked the idea of commanding my own starship, battling the Borg, and generally “making it so.” However, just like my previous experience with DCUO, the idea of paying every month for a game I probably wasn’t going to play THAT frequently just turned me away. So when the game became free to play I downloaded it to see if it really would be worth all the fuss. Reviews of the game hadn’t been stellar (get it? Stellar!) but it people weren’t trashing it either. So when I began the game I was eager to see if I could handle it or if I’d be turned off. After playing for just over an hour I can honestly say…I don’t know how I feel! With no mouse to use, I’m working on a laptop with a touch pad. Usually in gaming terms that is a kiss of death for me and would be enough to drive a man to drink. 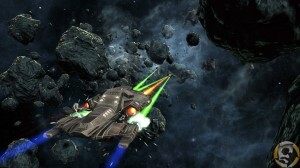 However, Star Trek Online’s gameplay is pretty simple and straight forward. Controls are simple, using the W, A, S, and D keys to maneuver both my ship and my character. Shooting is pretty straight forward as hitting B enters you into shooter mode with a simple point and click to shoot, as well as the number keys holding more options like grenades and such. The F key handles most of your “talk to this person” options so you’re fingers are never too far from the keys you need. For a guy who doesn’t play MMOs often, it was pretty simple to handle. Though I must admit as I get further into the game the more confused I began to get. Early in the game you don’t have much in the way of cash to buy things, so its kind of annoying to deal with buying things. Dilithium, cash, there seems to be several different methods for buying things and I honestly don’t know what I need to use real world money for or what I use in game money for. Star Trek Online is a little vague about this but for a guy starting out, its a tad frustrating. Then again, if everyone had the hang of it early on we’d see 1,000 Enterprises flying in space. The character customization itself is pretty impressive. You can tweek your character so that they are completely unique, going so far as to being able to adjust nose size, eyes, and chin/jaw size along with the standard hair/beard choices. There are a decent amount of races to choose from, with my own character being a badass Andorian with Mutton Chops! I’d like to see more races upon up, as I’ve always been fond of Cardassians, but you start off with options like Betazoids, Bajorans, Pakleds, Trill and more. As you reach a higher level you can eventually even have Klingons. There’s a few race options to buy but honestly I wasn’t too thrilled. You can even be a liberated Borg but honestly, I could do without dozens of those running around. What surprised me though is the fact that most players seem to choose humans. With my experiences with DC Universe Online and even WoW, most people choose everything BUT the human option. Maybe that’s just how Star Trek fans are though as the Star Trek universe has always been about the expanding of Human knowledge. Heck, I was even impressed by the “trash talking fans” or lack there of. Playing any game online, whether it be an MMO, first person shooter or anything else, means you’re probably going to have to deal with an annoying 14 year old boy in his room, hyped up on Red Bull and Cheetos who generally “pwns” you on a consistent basis. However, the “trash talking trekkies” merely poked fun at my Andorian with Mutton Chops in a harmless way, like we were already friends. One guy even went so far as to stay he was joking. Polite trash talk, who knew? After playing for an hour I can say I’m going to play again. In facts its a bit difficult to not go back to playing right now. I’m sure as I get further into the game, tasks and skills will become easier to me. I’m sure i’ll eventually figure out the whole money thing and even get a ship that I can be proud of. Let’s face it, the USS Roanoke isn’t really impressive. Heck, the entire crew may disappear and it’ll say USS Croatoan on the outside. (A history joke!) But if you’re a Trekkie or Trekker and you enjoy computer games, download the now free to play Star Trek Online and take the fight to the Borg, Dominion, Klingons and more! Live Long and Prosper!